“Rod for Your Love” is wry, self-aware, and very accessible. On his own, or as leader of Sonny and the Sunsets, the engaging Sonny Smith specializes in finely observed vignettes about everyday people that showcase his wry, slackerish voice. For all its rough edges, though, there’s nothing casual about his scruffy garage pop, which tempers a streak of melancholy with offhand, self-aware wit. 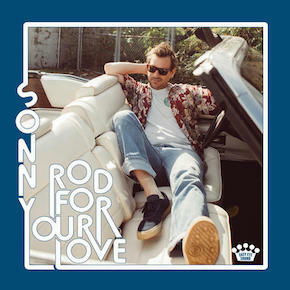 Produced by Black Keys frontman Dan Auerbach (who knows a thing or two about making eccentricity accessible), Rod for Your Love is Smith’s most commercial effort yet—it’s all relative—boasting a brighter sound and sunnier vibe than before. Witness the jaunty, toe-tapping optimism of the irresistible “Lost,” where he chirps, “I know the way this time,” or the romantic drama “Burnin’ Up,” featuring Angel Olsen’s tangy harmonies. While Smith may never top the charts, he’s never been more entertaining or more deserving of mainstream attention.